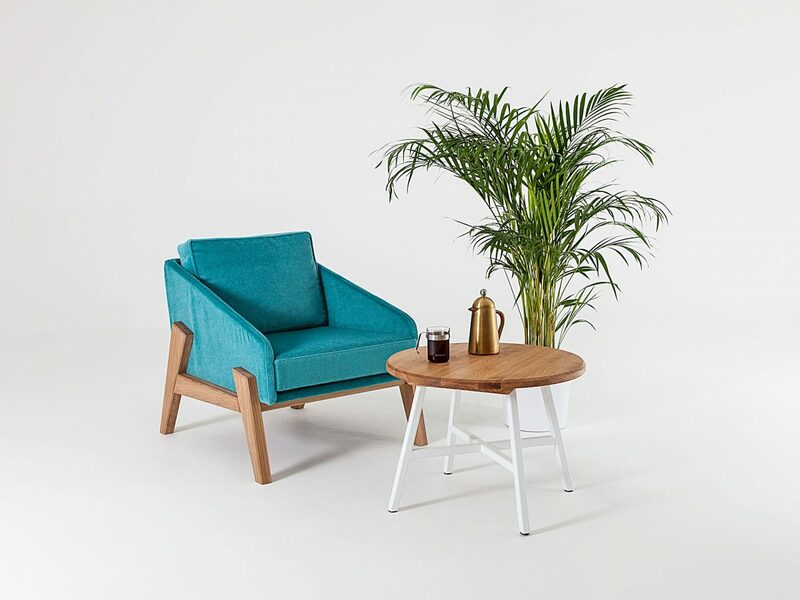 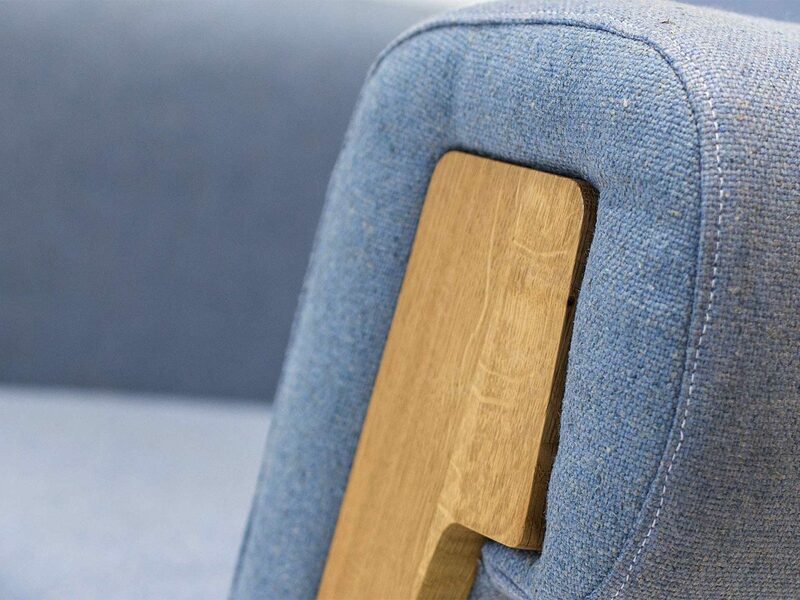 Liqui’s commercial sofas and easy chairs are designed and manufactured in the UK by skilled craftsmen with a focus on sustainability and longevity. 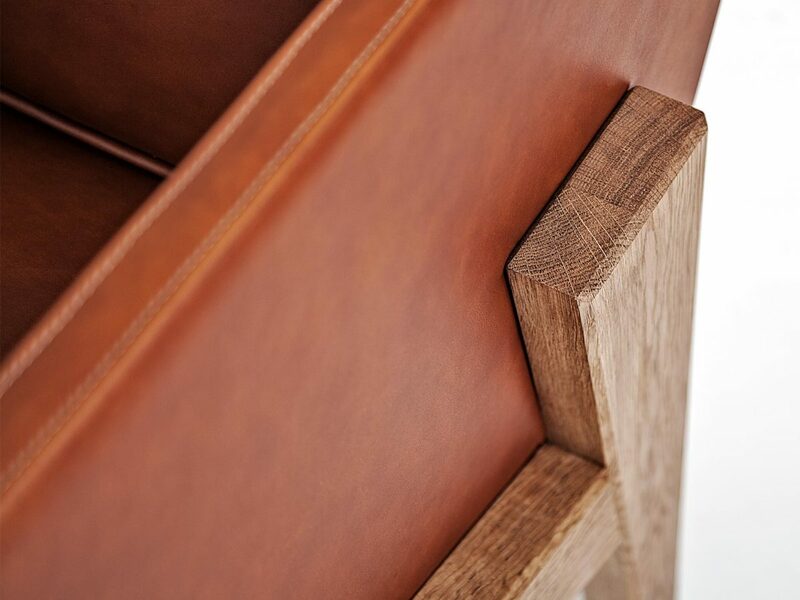 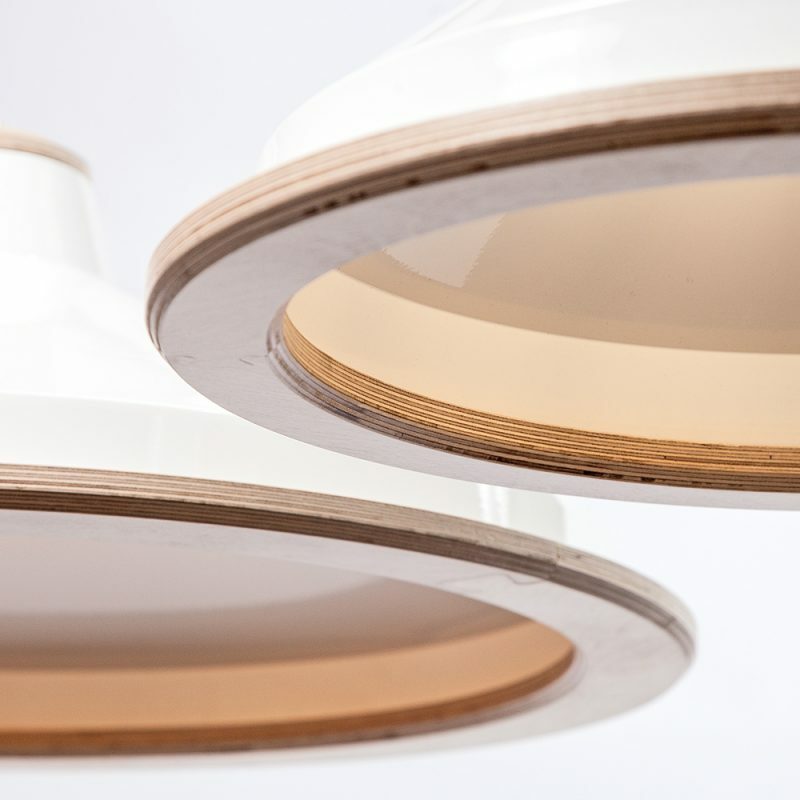 All of our contract furniture is finished to a high standard with acute attention to detail. 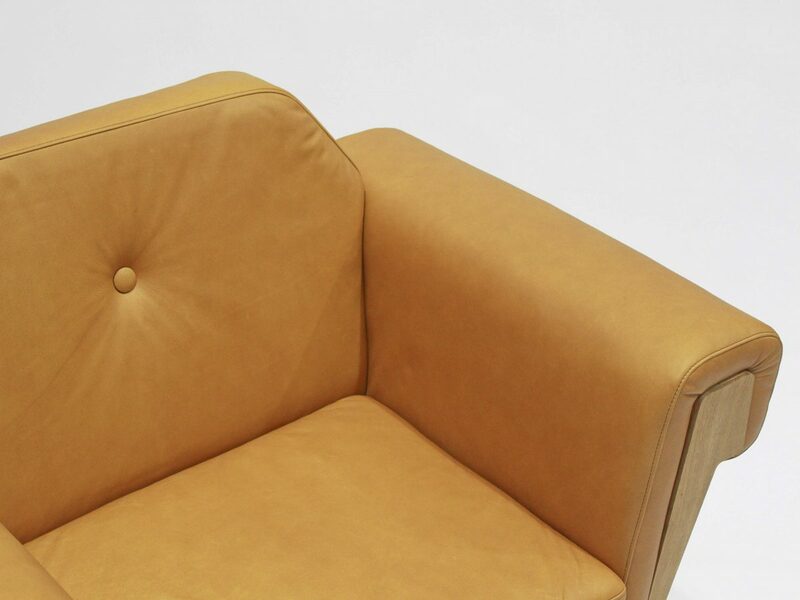 Everything is manufactured to order allowing us to offer a wide range of material options and finishes on all of our commercial easy chairs and sofas. 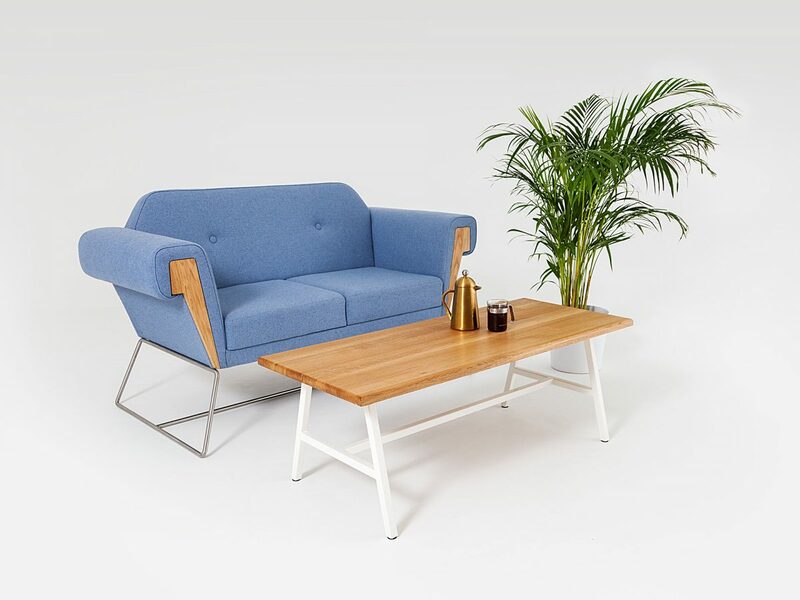 The Hove Club Sofa takes a much loved traditional style and gives it a modern twist. 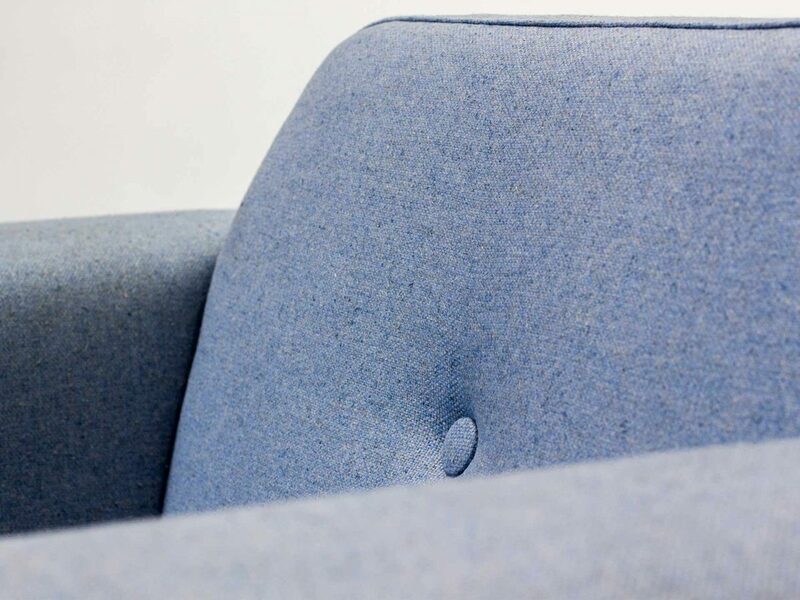 Ideal for commercial environments such as reception areas the wide set arms give a comfortable feel for a relaxing experience but not so much that you will fall asleep waiting for a meeting. 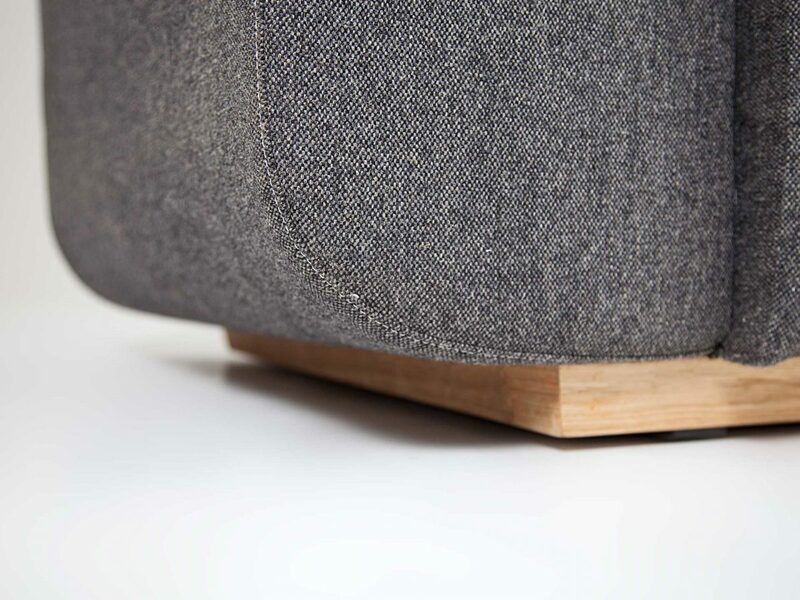 Orthodox upholstery techniques reflect their traditional counterparts while the stainless steel legs give a modern vibe. 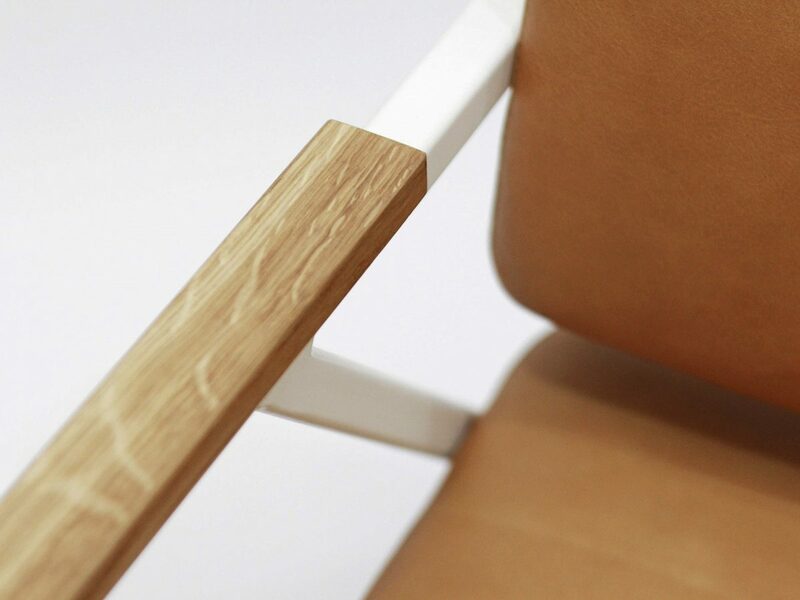 Materials: Stainless steel ski base with sustainably sourced Oak inserts upholstered in either leather or Main Line Flax – a fabric formed from sustainable sources. 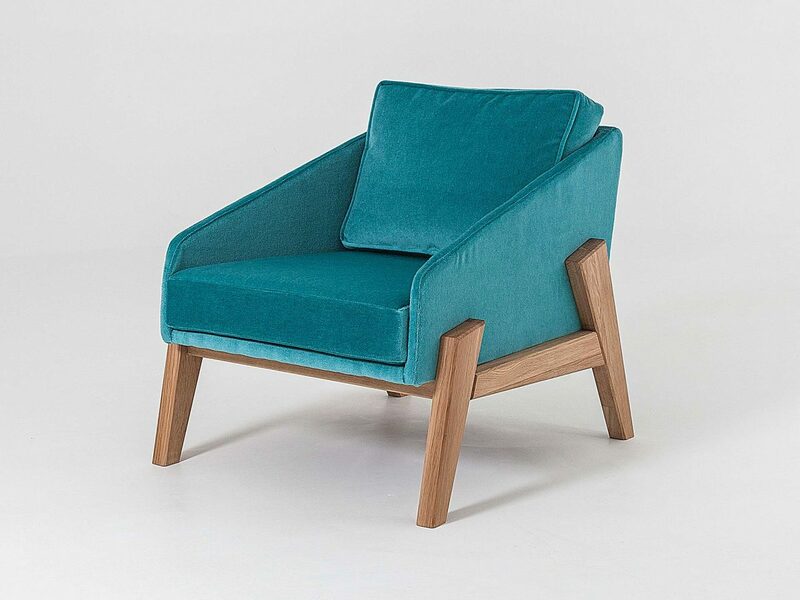 The Hove Club Chair takes a much loved traditional style and gives it a modern twist. 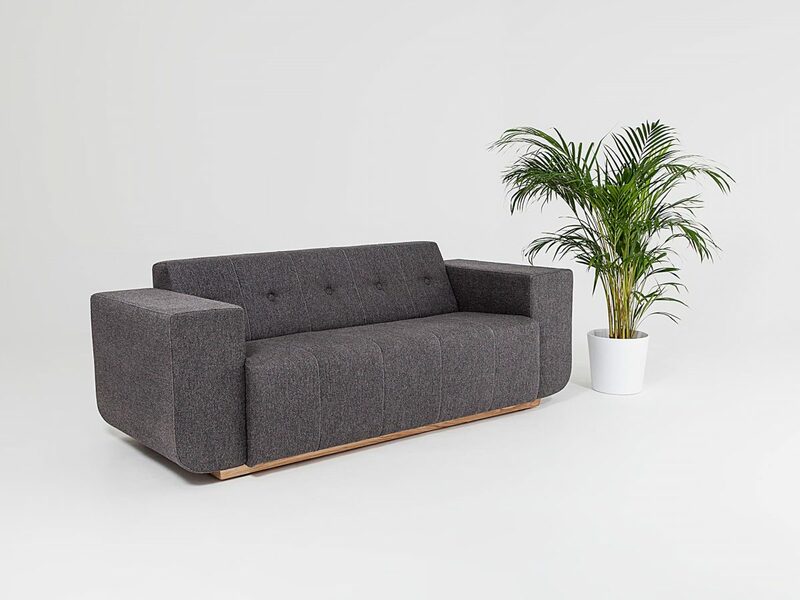 Ideal for commercial environments such as reception areas the wide set arms give a comfortable feel for a relaxing experience but not so much that you will fall asleep waiting for a meeting. 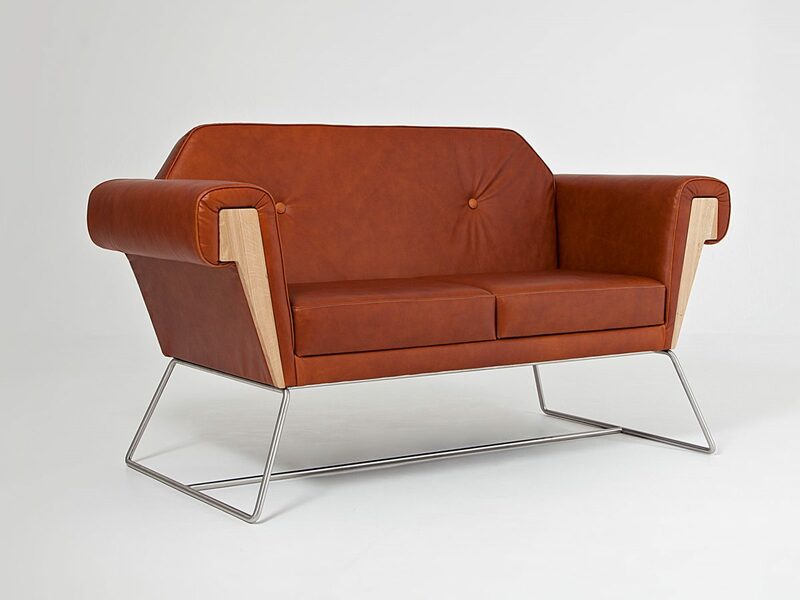 Orthodox upholstery techniques reflect their traditional counterparts while the stainless steel legs give a modern vibe. 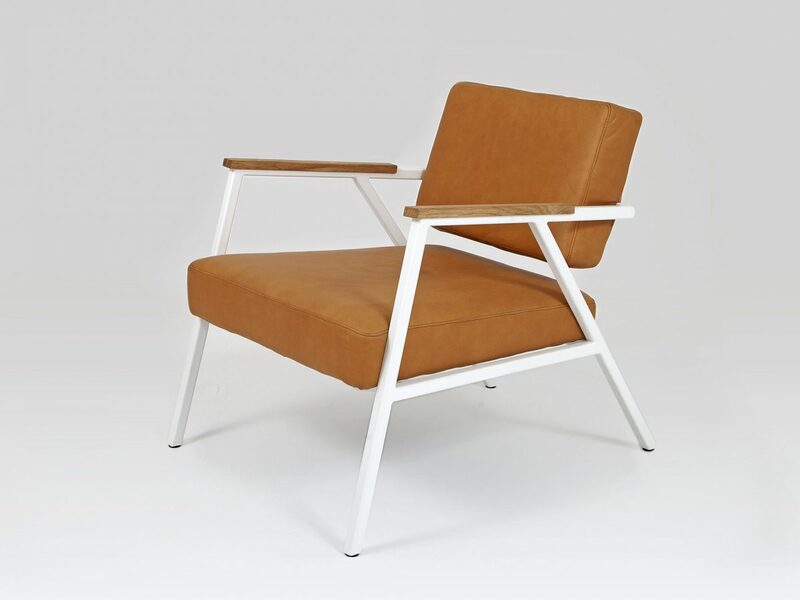 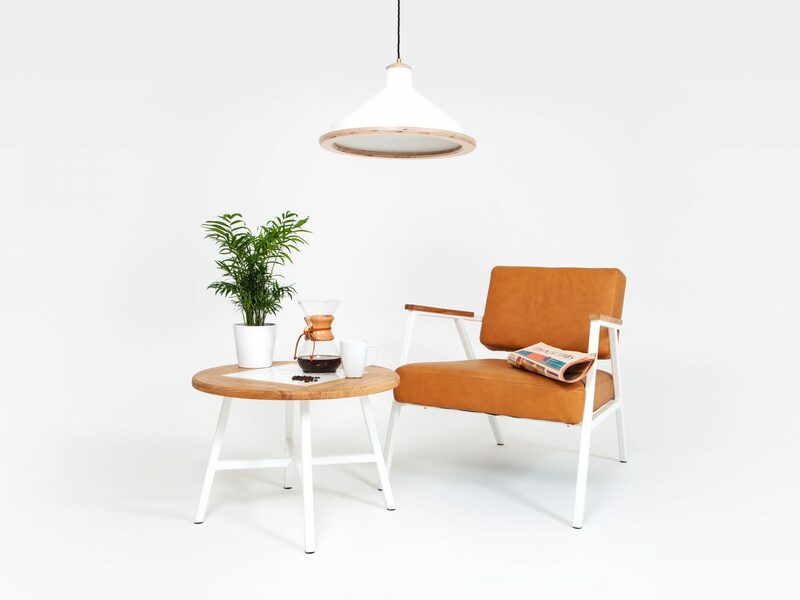 The Studio Easy chair was created to be a classic high-end piece of contract furniture with a vintage-look. 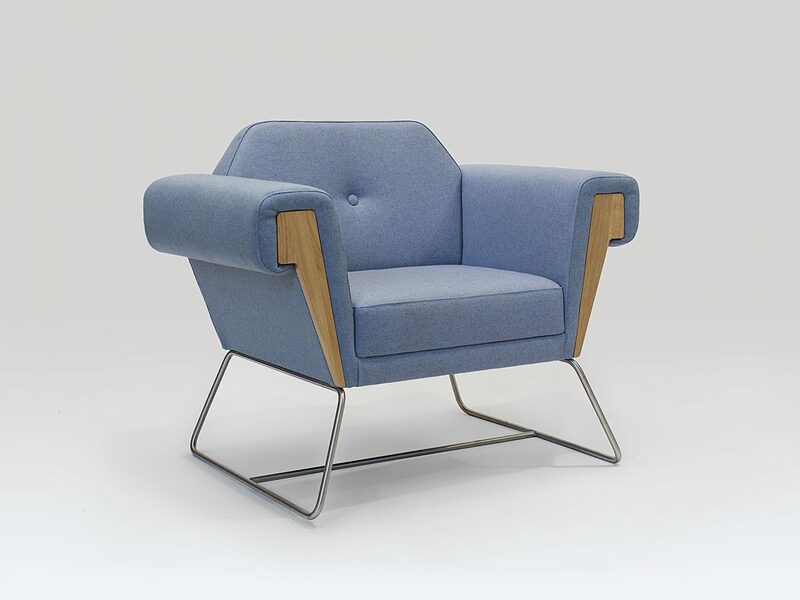 Designed by Liqui in Brighton and manufactured by our skilled craftsmen across Britain we have created a high-quality and resilient luxury everyday chair ideal for busy commercial spaces. 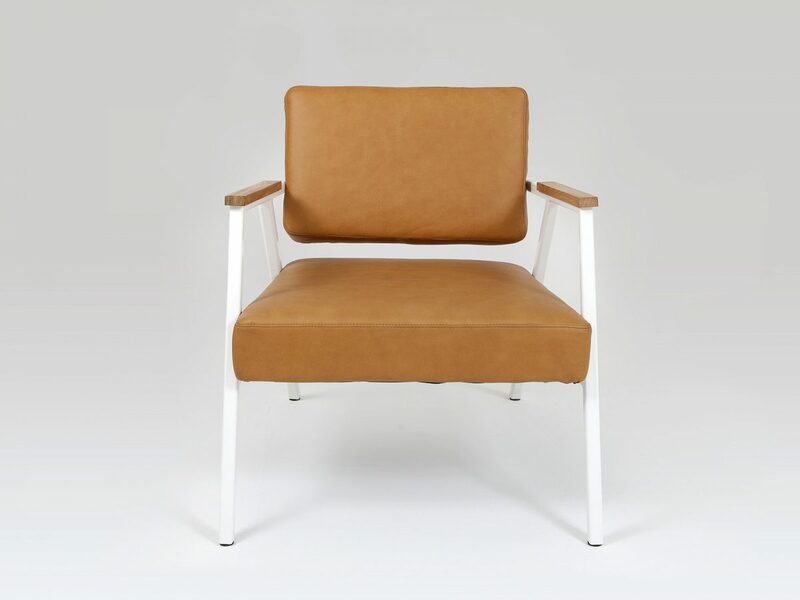 Our standard finish for this chair is leather upholstery with white powder coated steel frame welded to the best quality possible. 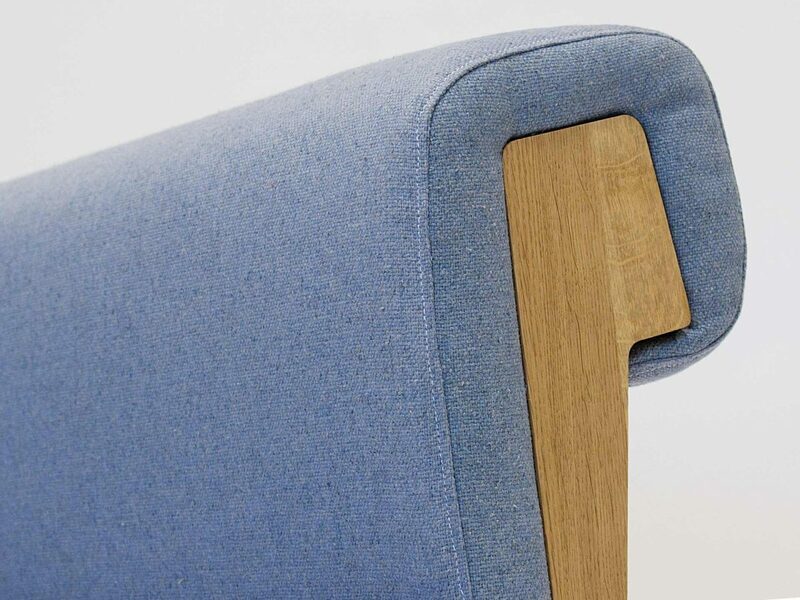 If you require this piece of contract furniture in any other finish please get in touch. 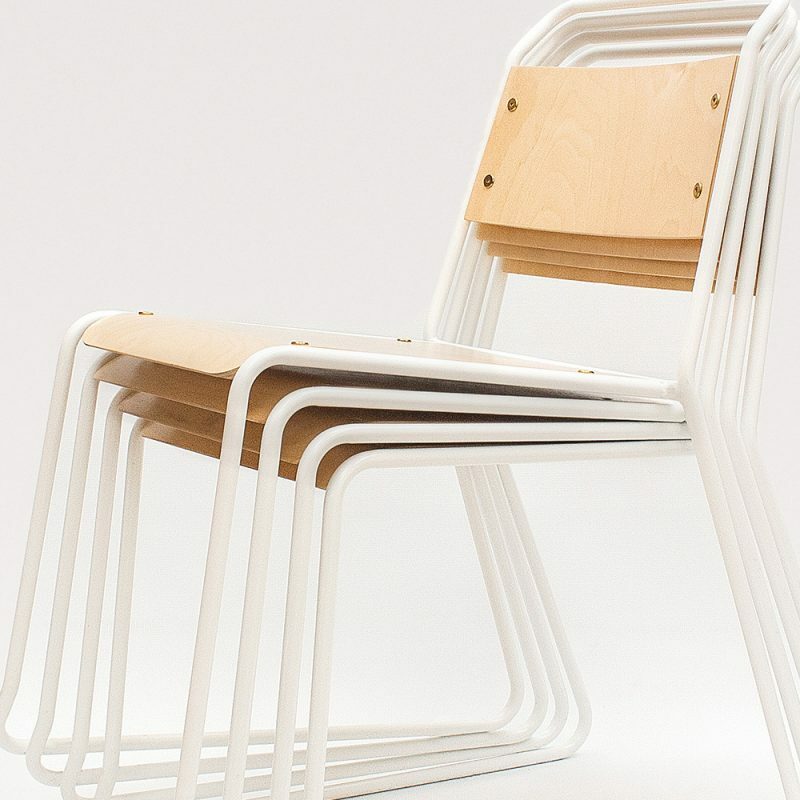 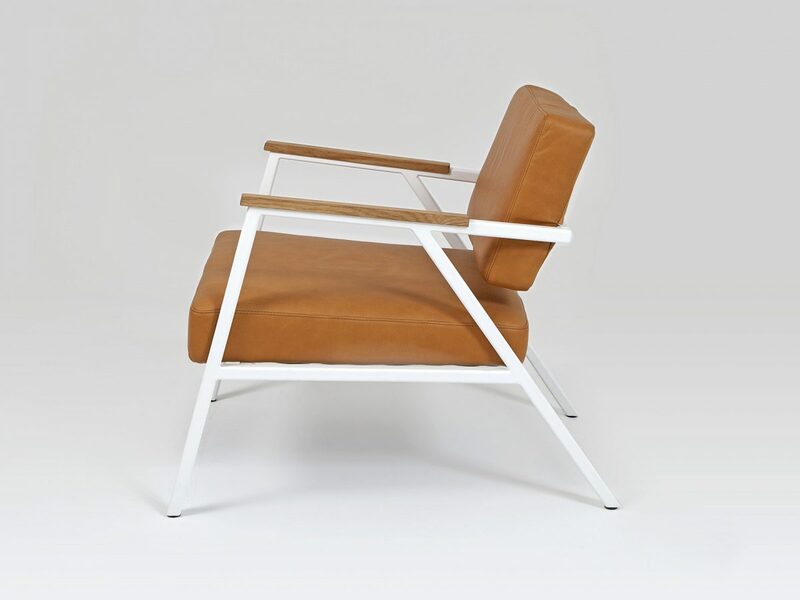 Materials: Steel frame powder coated in white with leather upholstered seat and back rest. 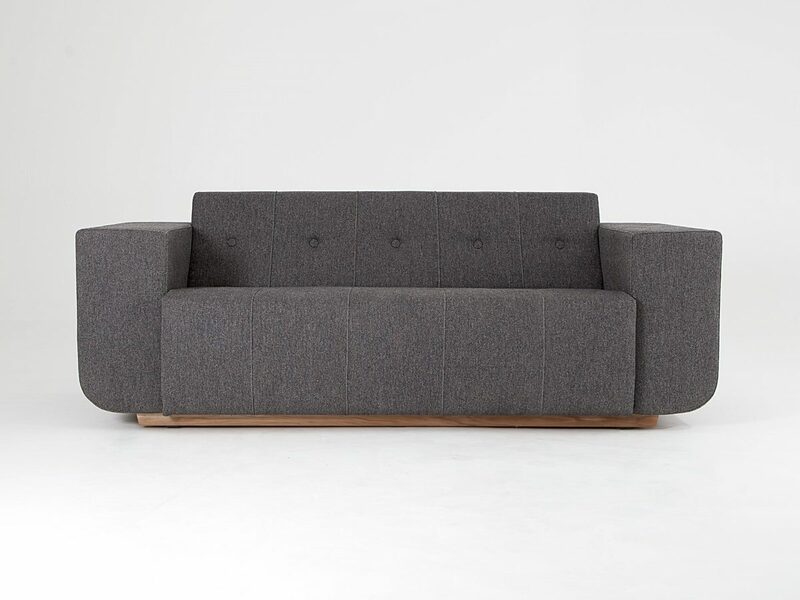 Fraser is a button back sofa with an unmistakably boxy look. 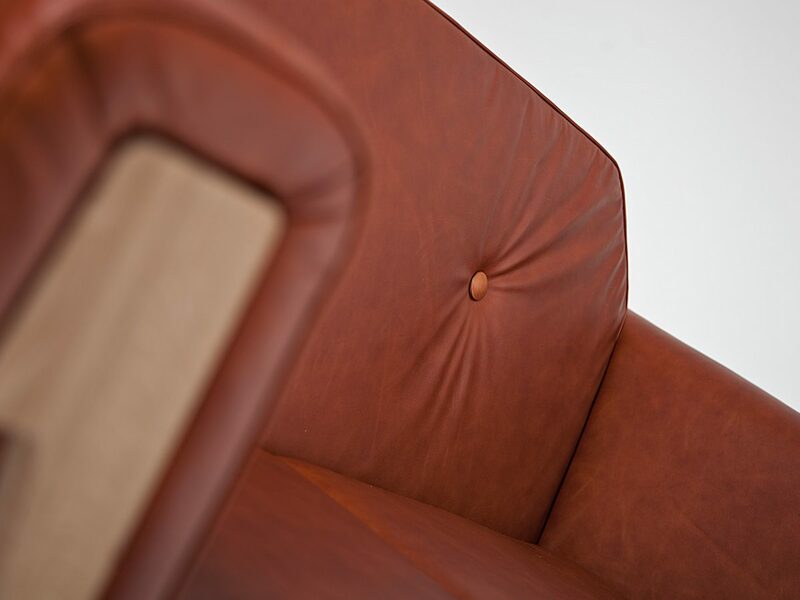 Made by hand in Britain by our craftsmen, it can be upholstered in a wide choice of leathers and fabrics. 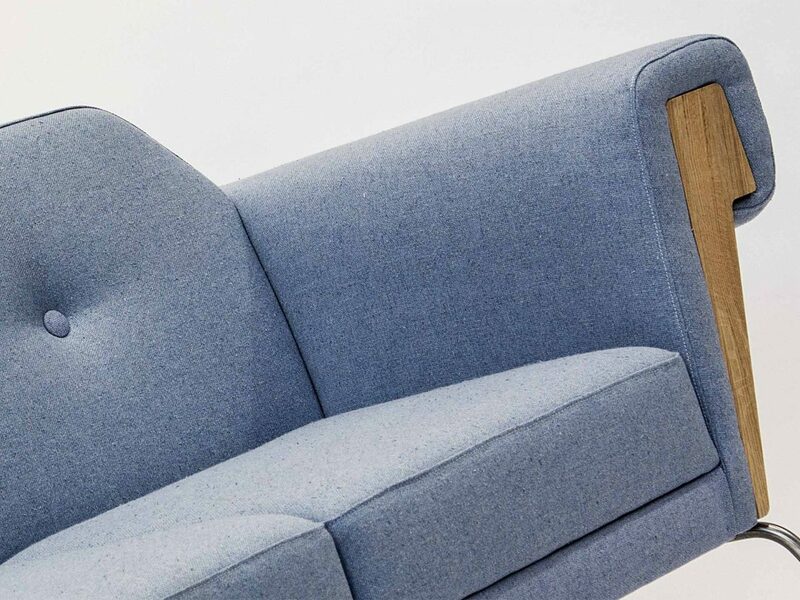 The box sofa is a beautifully designed piece of contract furniture that’s made to last and is suitable for any number of commercial interiors such as hotel, restaurant or office reception furniture. 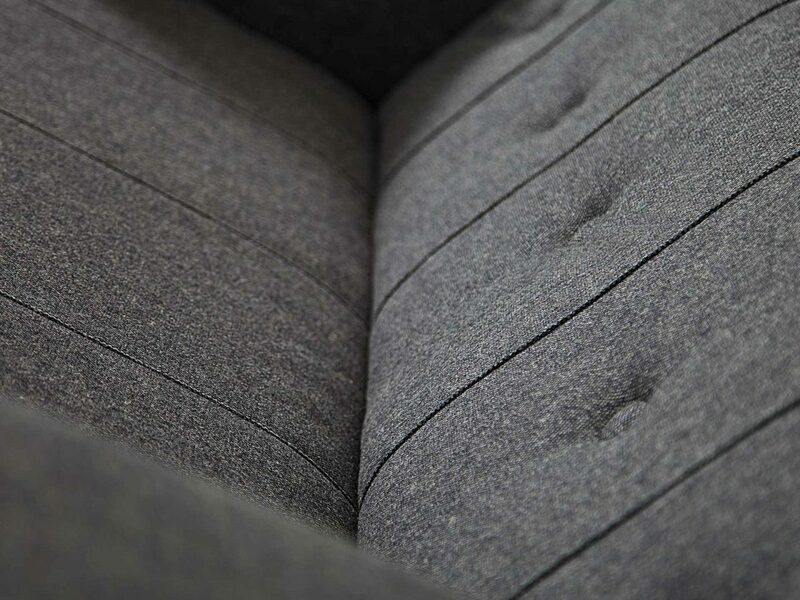 It’s a far cry from what’s believed to be the origin of sofas from ancient Egypt where cushions stuffed with horsehair scattered on solid daybeds passed as soft furnishings. 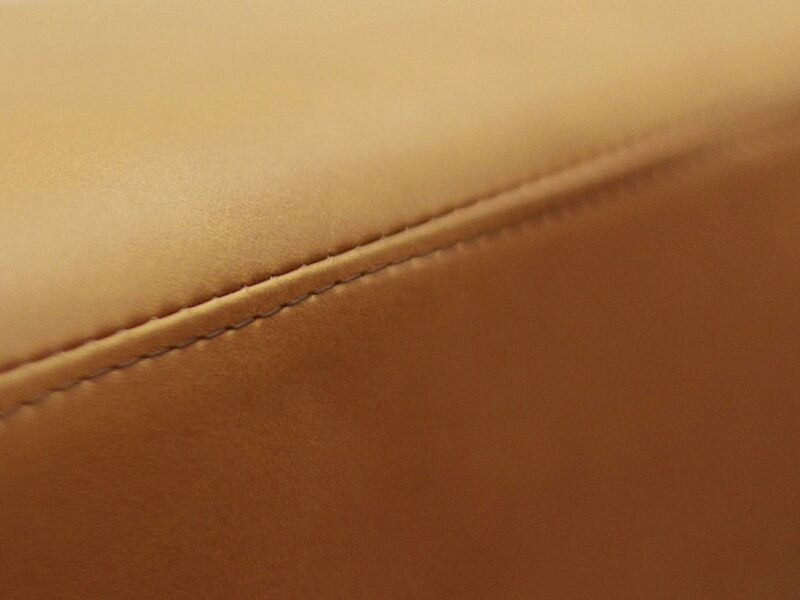 Materials: FSC Oak base, upholstered in either Leather or Main Line Flax – a fabric formed from sustainable sources. 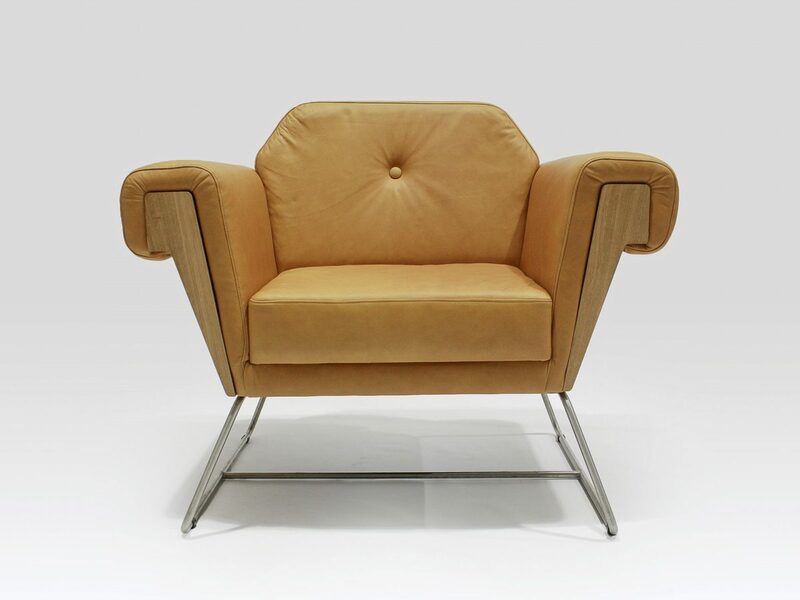 The tub chair was probably first developed by French chair makers during the reign of Louis XV. 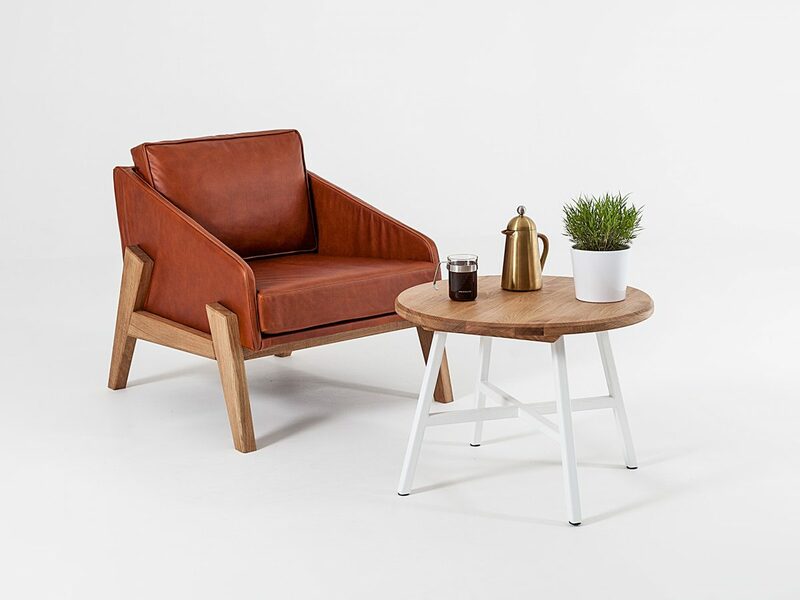 We have taken the classic shape and squared it off for an unmistakably modern look. 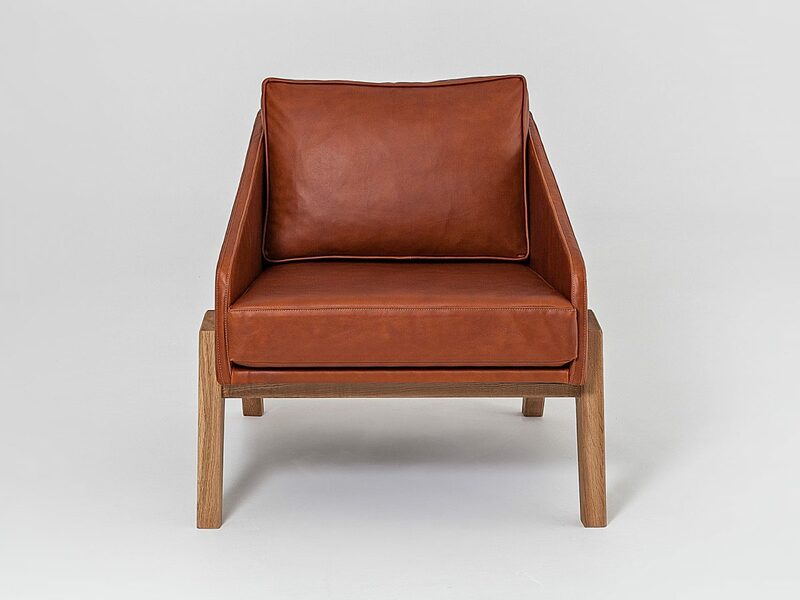 Our leather tub chairs, with their distinctive Oak legs, are also available in a variety of fabrics. 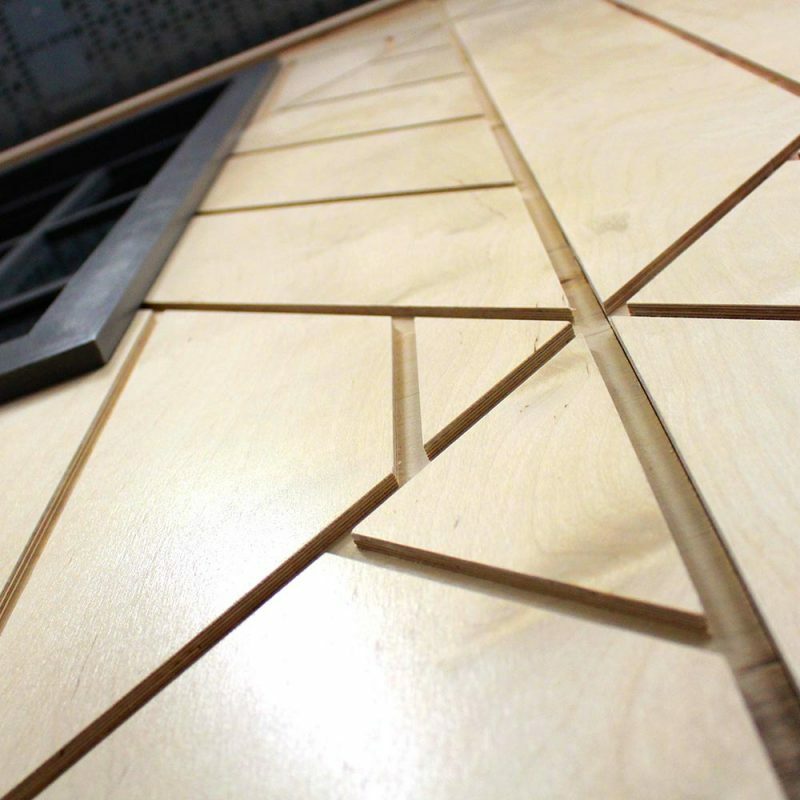 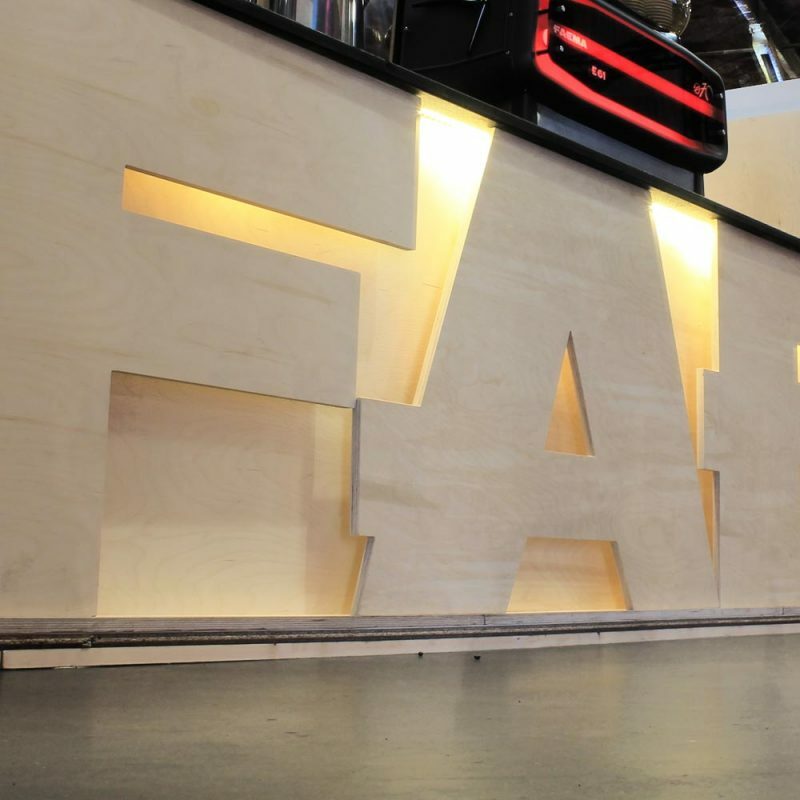 As we only manufacture to order, you can even specify your own materials. 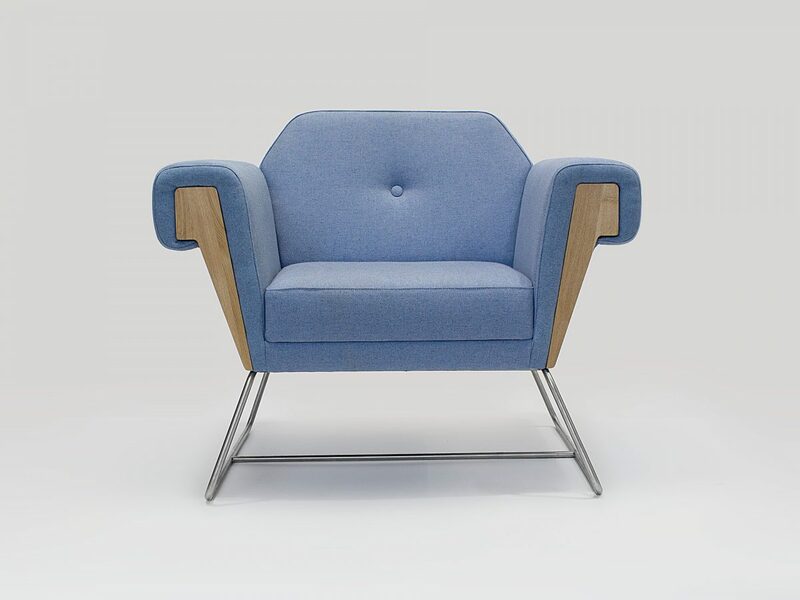 They are ideal as hotel or office reception area chairs, but would work just as well in a variety of commercial interiors. 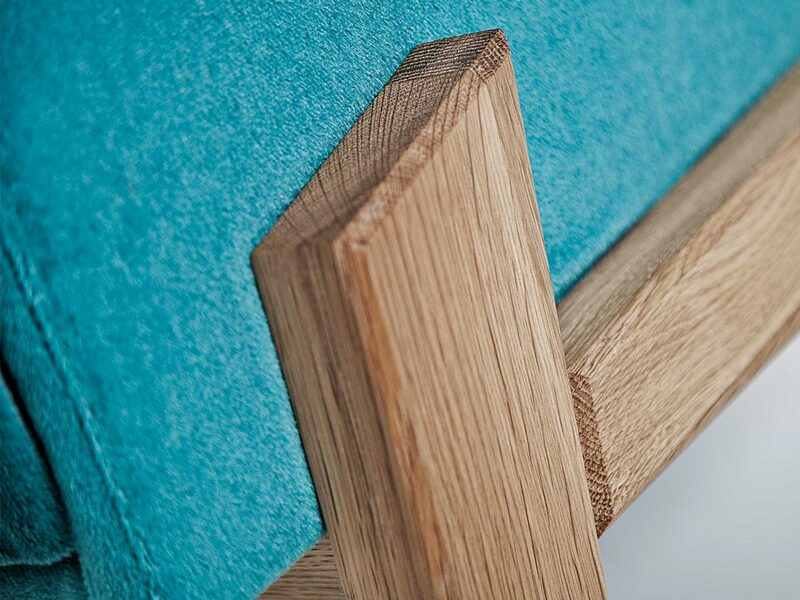 Materials: FSC Oak frame, upholstered in either Leather, Mohair or Main Line Flax – a fabric formed from sustainable sources.